You buy a new car. You don’t care to look in the glove box. One day, you have to figure out what all of the little signals on the dash that are lit up mean. Is one of the wheels flat? Is the car running low on oil? Is it time for a tire rotation? Is one of the car doors open? What are all of the signals? They are all new to you. You look in the glove box for the owner’s manual, but you forgot you didn’t think you needed to keep it and you threw it away. Luckily, you can buy one online for the exact make and model of car. Did you learn your lesson? Owner’s manuals are actually quite informative at the most random times. However, understandably, this exact scenario may not have happened. So, why is it beneficial to keep your car’s owner’s manual in the glove box and not throw it in the recycling bin like it doesn’t matter? 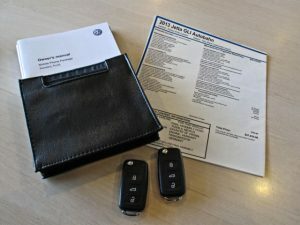 There’s no doubt about it, owner’s manuals provide car owners with information they need to know about their vehicle, and if you don’t have one handy, you may have a hard time trying to find the answers to what would have been a simple find. In a manual, you will find all of the information needed about your specific make and model of vehicle. Whether you drive a Volkswagen, BMW or Porsche, you must keep the owner’s manual handy. They may even hold the answers to warranty questions, glass breakage and the duration of warranty coverage. If you would like to know every detail, big or small regarding your car, it’s time to read the owner’s manual. Although it’s boring to some, it’s important to understand the details each car has to offer. By reading, or browsing, through your owner’s manual, you will have the ability to fill your brain with a wealth of knowledge regarding your car. Next time you schedule an appointment with the Volkswagen repair specialists in Denver, you may not even need them to explain the parts needing repair; you’ll already know! Many manuals out there offer tips and advice regarding the make and model of the car you’re driving. It’s always good to read up on the tips and advice this specific manufacturer offers. Plus, you may just learn a thing or two about applying the brakes, the best way to fill up on gas and when to replace the headlights. We are all for keeping the owner’s manual of your Volkswagen ready for use in your glove box. If you are one of the many who have thrown away your Volkswagen’s manuals, and you have a questions regarding your car, please contact us! Our Volkswagen repair technicians have the answers to your questions.